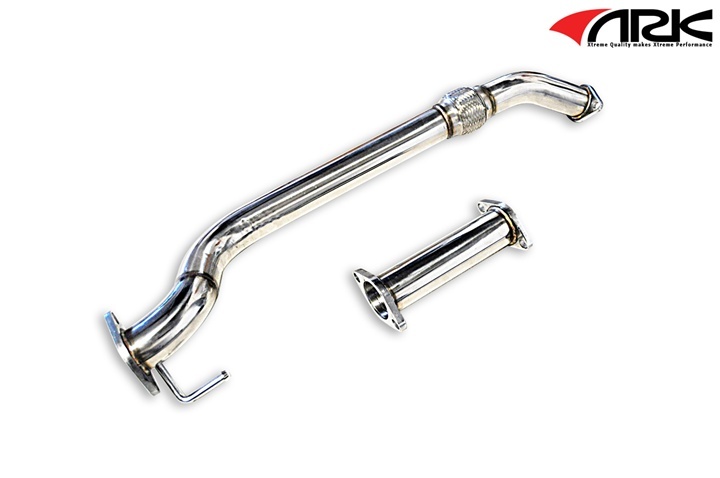 The ARK racing down pipe is highly designed with semi brushed mirror polished 304T SUS stainless steel, CNC mandrel bent pPrimaries, TIG welded connections, de-burred and ported inlets/outlets for better flow. Designed To Get The Most Out Of High Revving Race Tuned Motors - Larger piping Increases, dyno proven Horsepower/Torque From Mid-Range To Redline. INCLUDES TEST PIPE! - All Mirror Polished Stainless T-304. - Dyno proven horsepower gain.